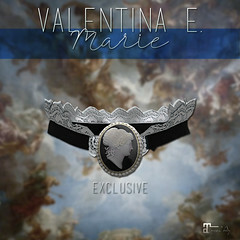 December 2014 – Valentina E.
NEW! 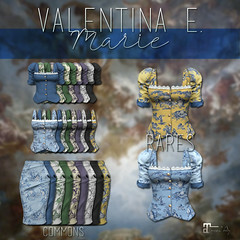 Valentina E. For January FaMESHed! Don’t miss our new Jezebel Dress out at the January round of FAMESHED! This stylish belted dress features a silk scarf and beautiful texturing. We hope you like it! NEW! Valentina E. Comtesse Ensemble For UBER! Don’t miss our new Comtesse Ensemble for the January round of UBER! All of the pieces can be worn separately or together. Don’t miss this gorgeous new design!